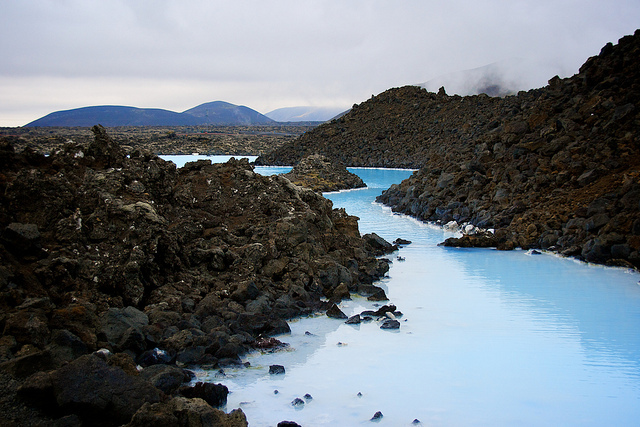 Iceland offers a large variety of natural sights and sceneries to its visitors. 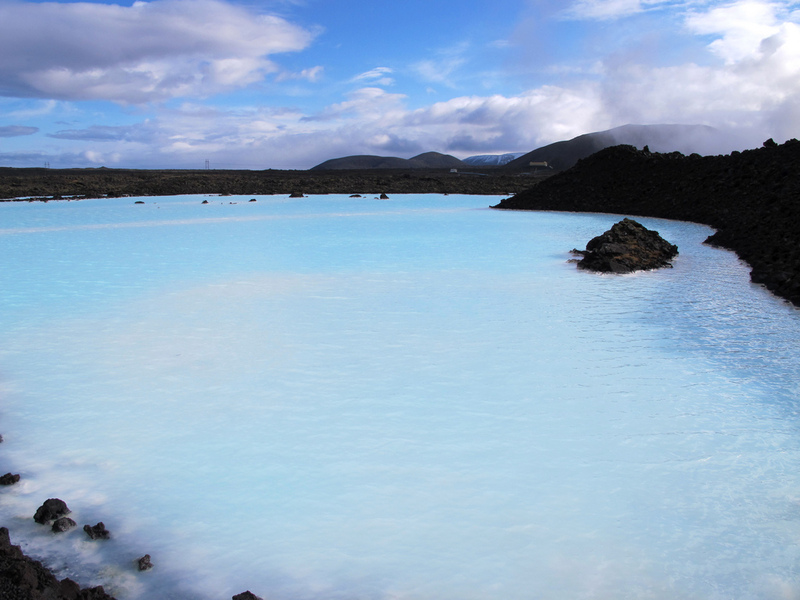 One of the most famous site is the Blue Lagoon near the capital Reykjavik. 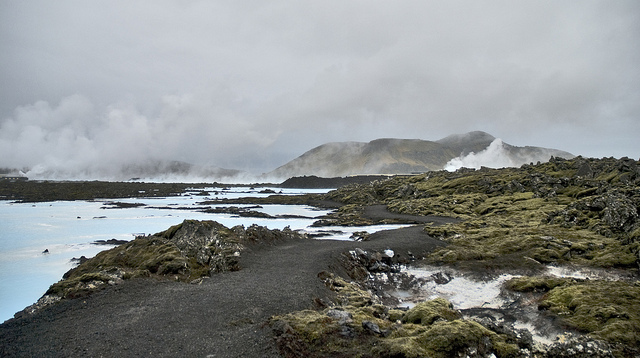 It is a geothermal lake surrounded by a lava field called “Illahraun” – lava of horror. The name has its origin in the impossibility to reach the lake in earlier times. 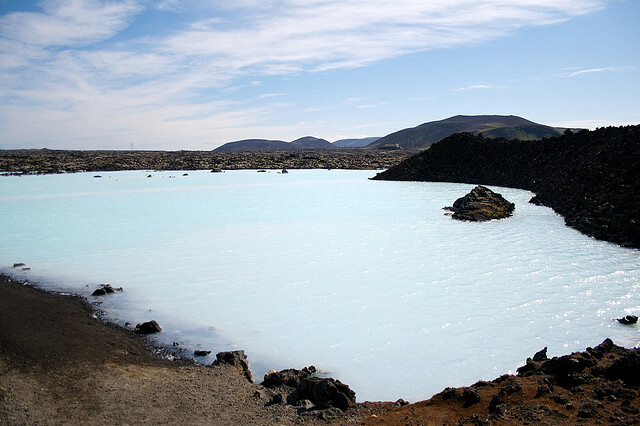 As a thermal power station nearby started to carry 240°C hot water out of 2000 meters depth in order to create energy, the water was directed into the lava field afterwards and that’s how the Blue Lagoon was generated. The water has temperatures between 37°C and 42°C and is coloured in beautiful nuances of blue and white because of diatoms that are living in the deep water. Bathing in that water has proven positive effects on the skin and enables to relax and soak away the stresses of modern life. Therefore, it is highly frequented by tourists and residents from other parts of the Island.